The Elegant Astronaut: Did Anyone Else Notice The Woman In Elon Musk's Mars Presentation? 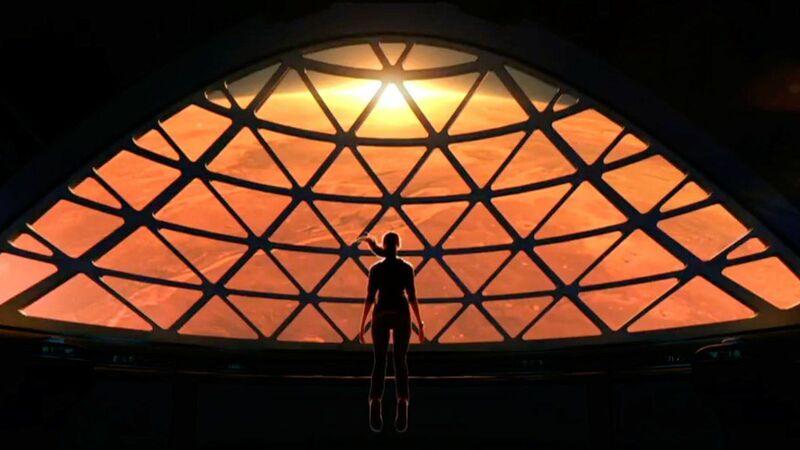 Did Anyone Else Notice The Woman In Elon Musk's Mars Presentation? When I saw this slide in Elon's presentation on September 27, I instantly leaned closer to the screen. Is that...is that a ponytail on that Mars traveler?!! Did Elon include a woman astronaut on his imagined Mars journey? This is just more evidence of how refreshingly progressive SpaceX really is. They are well on their way to completely re-bolstering America's manned space program, they have designed and tested radically new rocket technologies (like the ones that allow for the PHENOMENAL ocean barge landings! ), and they have a WOMAN, Gwynne Shotwell, as their CEO. These are no small feats by any standards. It is marvelous to see such an innovative and forward-thinking company accomplish their goals and inspire the rest of us to get up off our laurels.